World Memon Day was celebrated recently, by a group of Muslim philanthropists in Durban, led by Mr AV Mohamed, Chair of the Jumma Masjid. About 350 children at Addington Primary School and 250 homeless people at the Denis Hurley Centre (where AV is a patron and a regular supporter)were served food. Memons originated from the Western part of India and Pakistan, and are estimated to number about two million people. 11 April was declared as the first ever World Memon Day as a way of encouraging people of Memon heritage to come together to help humanity. Events took place in Dubai, India, Pakistan as well as in South Africa. 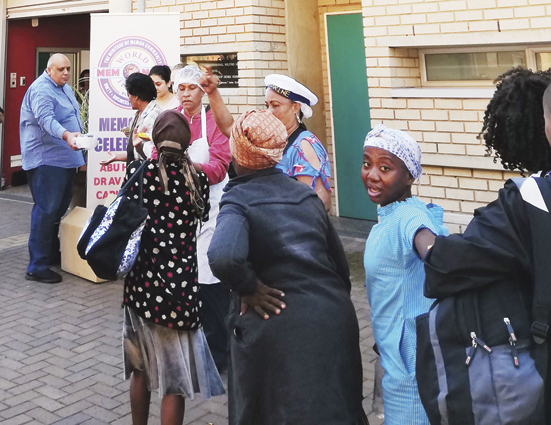 Mahomed is one of 35 people selected as Memon ambassadors around the world. He coordinated the days activities in Durban from his hospital bed where he is recovering from surgery. Working together with Ikhlaas Latib of Capital Group and Abu Hamdani, he arranged for 600 people to be fed chicken pillau. 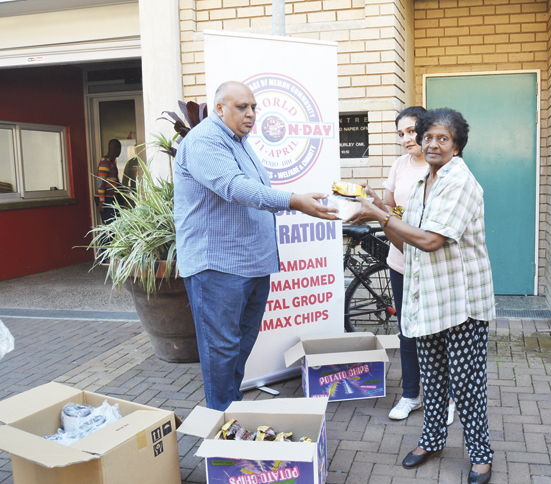 Each person also received a packet of chips donated by Frimax.